It has been discovered and widely known that opera mini app is one of the most used worldwide by people surfing the web with different types of gadgets. Most of us nowadays especially the readers find it easier to glance through the opera mini news feeds to find any important and attractive blogs to click on and to read, with this opportunity given to bloggers by opera mini ,this has led to assist bloggers to generate more traffics and earnings, in which majority of bloggers are finding means of showcasing their blogs titles on opera mini news feed. WHAT ARE THE ADVANTAGES OF SHOWCASING BLOG TITLE ON OPERA MINI NEWS FEED. 1, More traffics :- by showcasing your blog on opera mini news feed , you gain more traffics due to the fact that while the readers glance through the news feed ,the readers will read not only what they were looking for but all other attractive ones. 2, Popularity :- due to the fact that opera mini is not for a country/region ,and it has options for changing countries, then their is tendency for your blog to show round the world. 3, More earnings :- opera mini has promised to pay 50% of their revenue since it will able to advertised it product to readers,reading your content in the news feed. 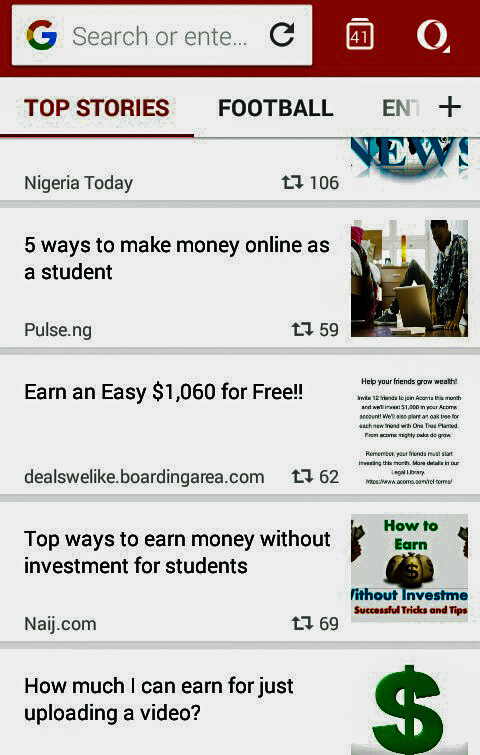 4, Auto showcase :- opera mini will still showcase your news headline at the same day of the new year. 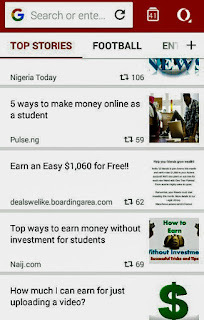 STEPS TO ADD YOUR BLOG TITLES TO OPERA MINI NEWS FEED. 4, on the message ,write about your intentions. 5, an opera mini agent will reply you ,that you should write a formal letter that include your blog website address and send it back to the email social-network@opera.com. 6, wait for some days ,there should be a feed back on what to do next. 8, if you are approved there will be a confirmation, then your website/blog tittle will be displaying on opera mini news feed. This is great to know. I'm always looking to boost my blog so i'm glad you shared this info. Thanks for the information! Really good to know! This is such a very interesting and very informative post to read. 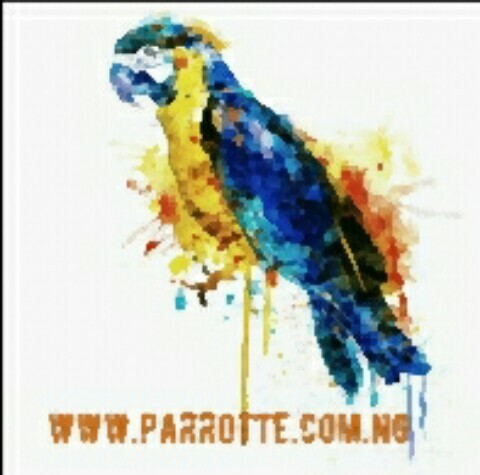 I have never know that opera mini can help you to boost your blog site. Thanks for sharing this with us. This is such a very interesting and very informative post to read. Thanks for the information! Really good to know! Thank you for this information. I will look further into this. Thanks for sharing. Wow, didn't know you could do this! Very cool, thanks for sharing! That sounds really useful! I like the way it shows up for readers too! I'll check it out! Yeah, opera is a good one. I use it, esp mini on my other laptop. This is very interesting! I had never heard of Opera Mini before. I’ll have to try them out! Sweet! I will check this out! nice to know. i haven't tried opera mini before. will check this out. This is great Info! I'm always on the lookout for new ways to increase traffic. Good to know! I appreciate the awesome tip! Wow, that sounds really good. I will share this with my friends and I am sure they would love to know more about it. This is such an interesting and informative post! Super helpful! Wow! sounds cool! I will check this out! This is really helpful post! this is interesting.... that's exactly want i need to know .. nice sharing. I didn't hear about this Opera Mini feed until now. It does sound interesting, definitely a way to raise your traffic if so many people use it. What a great and inromative post about Opera Mini. This can be very useful for my future project. This is an informative post indeed. I didn't know about Opera Mini but I found the article really interesting. Hmm, I never even knew about this! Always wondered how you get your articles on those news feeds. I had no idea. This post is very informative. This is a totally new topic for me but I definitely find all of this quite interesting for sure! Very interesting! I'll have to check it out. This is new to me but gonna check out soon! Interesting. This post is very important and really needy for everyone, its really helpful. Thanks a lot for sharing this. I have never tried to use opera mini but it sounds like a great resource in making your news feed. I've never heard of Opera mini, but hope this will help more bloggers to get theirs sorted out! I honestly had no clue there was ever an opportunity like this. I will have to check this out. Definitely going to email them. You know, I have heard of this opera mini, but had no idea what it was or how it worked. It does sound like an interesting and helpful tool. Mini Opera is not a browser I am familiar with. It was interesting to read and find out more about it though. I just sent them an email using your tutorial. Hopefully i'll get a positive feedback soon.